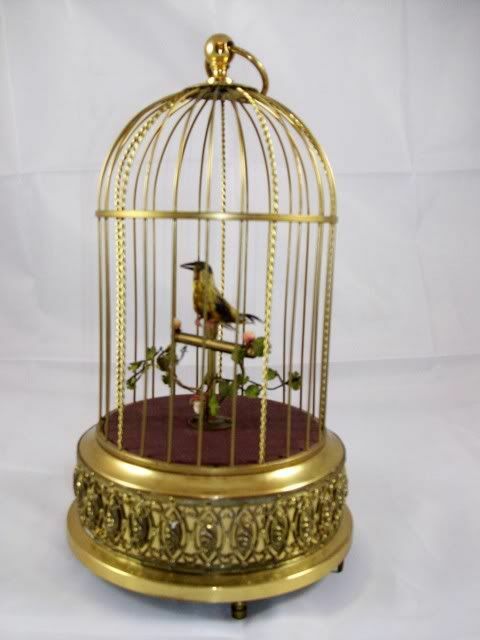 German K&G musical birdcage automaton. 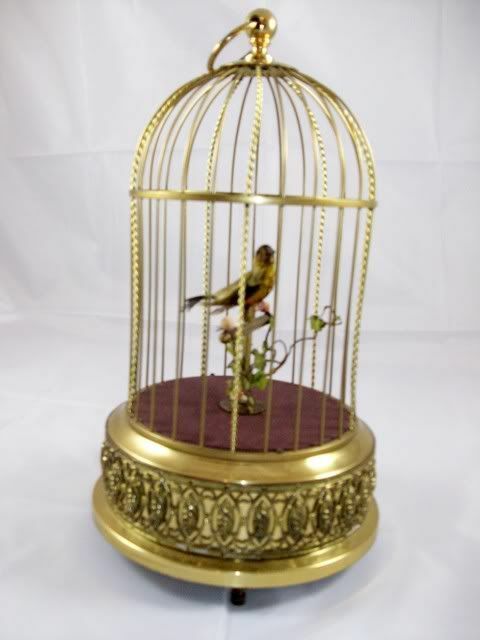 The birdcage measures 11 1/2" tall by 6 1/4" in diameter. The piece is turn key wound from the botttom. There is a start stop switch on the side of the base. 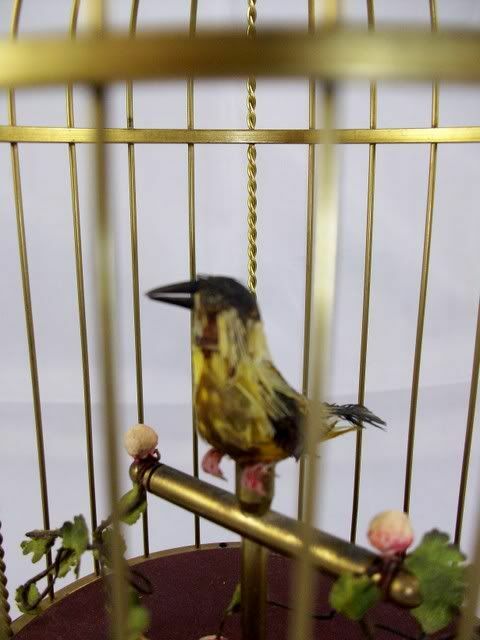 The bird sings beautifuly, his feather tail moves up and down and his head and beak move back and forth. 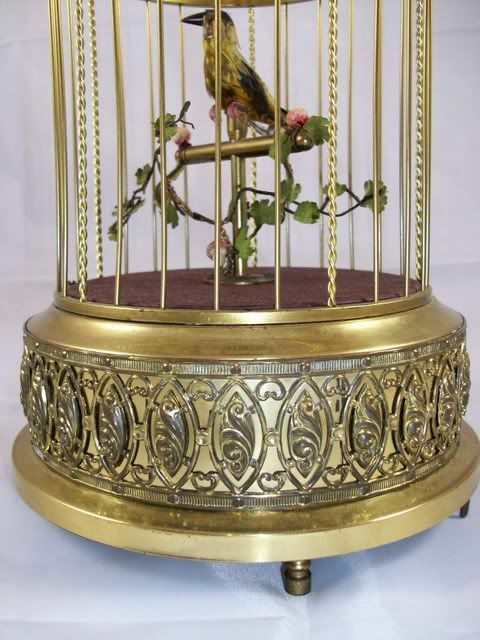 The automaton has been recently serviced and cleaned. The piece is original down to the little branch and mushroom at the birds foot. We date the piece to the early 20th century.